Home / Children What is rotavirus infection treated for? Rotavirus infection is an acute inflammatory process in the intestine, triggered by viruses of the family Reoviridae, Which, penetrating into the walls of the small intestine, initiate enteritis. The second name of this infection - Intestinal flu. There is one more name - the disease "Dirty hands", Which is closely related to the main mode of transmission of infection: through unwashed hands, fruits and vegetables, as well as toys and other items that have been on the ground. Also rotavirus is transmitted by airborneThrough and through contaminated dairy products. This is due to the fact that a person with infection can develop inflammation in the upper respiratory tract, and coughing, he spreads the virus, thus infecting others. Mostly children under three are ill, more oftenAll babies, but adults are also susceptible to rotavirus infection. No one is insured from it, since the virus itself can not be chemically treated (like, for example, chlorination of water) and does not die under the influence of low temperatures. Restorative - about 5 days. Infection occurs from a sick person (soOften adults become infected by caring for infected children) or a healthy carrier. The virus penetrates the walls of the small intestinal mucosa, multiplies in its cells and causes their death, while actively excreted with feces. The death of epithelial cells of the small intestine entails the development of enteritis, the consequence of which is diarrhea, abdominal pain, nausea and refusal of food. All this in a complex leads to dehydration of the body, that is, a violation of the electrolyte balance in the blood, and as a consequence of it - the disruption of the activity of the nervous and cardiovascular systems. A chair on the second-third day of the disease may beGray-yellow and clay-like - this indicates that the body is depleted and needs food. That is, it is necessary to introduce a sparing diet in small portions or drink fractional and often in order to prevent serious forms of dehydration. Rotavirus infection in adults can occurAsymptomatic or with a blurred picture: short-term fever, single liquid stool, no vomiting and loss of appetite, etc. But the person at the same time is the spreader of the infection. This is important to remember, especially if the family has small children. Among adults, rotavirus is most dangerous for pregnant women and people with weakened immunity (after chemotherapy, reception of immunosuppressants, prolonged antibiotic treatment). The danger lies in the weakness of the immune systemAnd its resistance to the virus, as well as a possible concomitant bacterial infection. All this can cause not only a severe form of dehydration, but also various bacterial injuries of the internal organs (pneumonia, pleurisy, etc.). 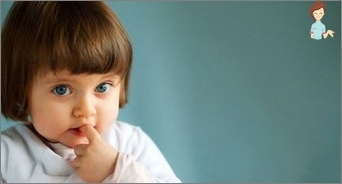 Treatment of rotavirus infection does not involve any specific activities. Probiotics for the restoration of intestinal microflora. Diet with rotavirus infection suggestsElimination from the diet of dairy (both whole milk and porridges cooked on it) and fermented milk products. It is a mistake to believe that kefirchik will restore the intestines. In this situation, do not force the childeat. The exception is babies - the child will not eat much, but the breast should be offered more often, so that the baby does not dehydrate. Of course, all the fatty, fried, smoked and salty dishes are also excluded from the diet. To feed the baby for an acute period of infection is suitable: liquid rice porridge on the water, jelly and low-fat chicken broth. To feed or water should be in small portions, but often. To restore the water-salt balance, you can dilute a bag of Regidron or give Humana-electrolyte, But necessarily in small portions: if it's a baby, then from a pipette or on? A teaspoon, if the child is older, then in small sips or a teaspoon. Otherwise, vomiting may occur, and all efforts will be in vain. Pain in the abdomen will help relieve But-shpa. It is more convenient for children to give it in liquid form. That is, you buy it in ampoules and, by dosing, according to the doctor's recommendations, give with a tea or kissel. In addition, flatulence, which occurs as a concomitant diarrhea phenomenon, can also cause pain. Remove it will help Espumizan, Sorbekts-baby And other sorbents. They will also help to eliminate the effects of intoxication. The appointment of such specific drugs as Enterofuril (prevents the development of bacterial infection), Cerucal (Stops vomiting at the level of reflexes), as well as antipyretics should only be done by a doctor. Because dosage depends on age and weightChild, and some of the drugs can cause side effects or allergic reactions. This is also important to take into account, especially in the treatment of a young child. Once having had a rotavirus infection, a person receives persistent immunity. And, even if "Will catch"Infection repeatedly, then its development in the body will not be so severe. But, since infection can entailSevere dehydration, as well as concomitant bacterial infection and complications caused by it, in some cases it is advisable to protect against it in advance. 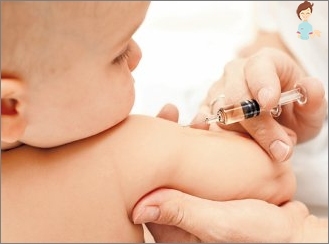 The vaccine against rotavirus infection is presented onPharmaceutical market with two vaccines for oral administration. Both contain an attenuated virus. Which of them is best to choose, your family doctor can recommend. Also for the prevention of this disease isRemember how the rotavirus infection spreads and spreads - most often these are dirty hands, contaminated objects and food. Therefore, proper processing of vegetables, fruits and milk will protect you and your family. Adhere to the basic rules of hygiene and be healthy!